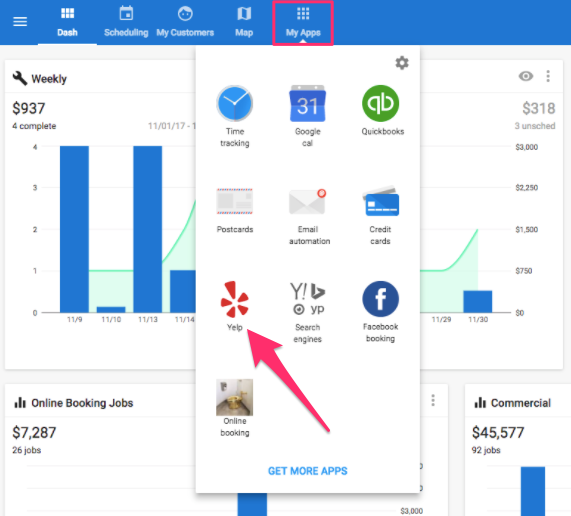 When the 3 steps above are completed, click on the 'My Apps' tab at the top of your screen and select Yelp. Enter your Yelp URL and click submit in the bottom right. 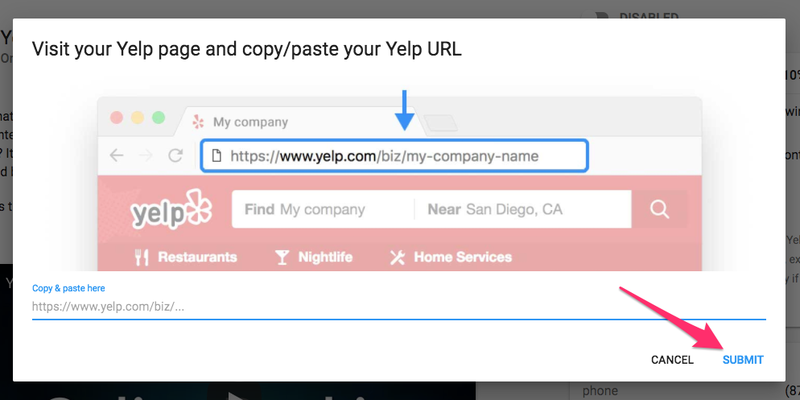 If the connection fails, make sure your company name, address, and phone number on HouseCall Pro and Yelp match.